Colleen Cheverko has always been fascinated by the study of humans, but it wasn’t until halfway through her undergraduate career that she decided to study anthropology. Now, the Ohio State PhD graduate and former Presidential Fellow has a completed dissertation under her belt and is off to the University of California at Merced to continue her research as a postdoctoral fellow. She answers a few questions about her education below. How did you decide to study anthropology? I stumbled into anthropology as a sophomore at Binghamton University when I took a course called "Bones, Bugs, and Forensic Science," because a friend was taking it and it sounded cool. I couldn't believe how interesting biological anthropology was. I realized I could easily double major while still graduating on time, but I still had no plans to study it after college even though I was more involved in research in anthropology instead of psychology (my other major). During my senior year, I decided I would apply to grad school for anthropology because I liked the research I was already doing as an undergraduate and wanted to continue it. 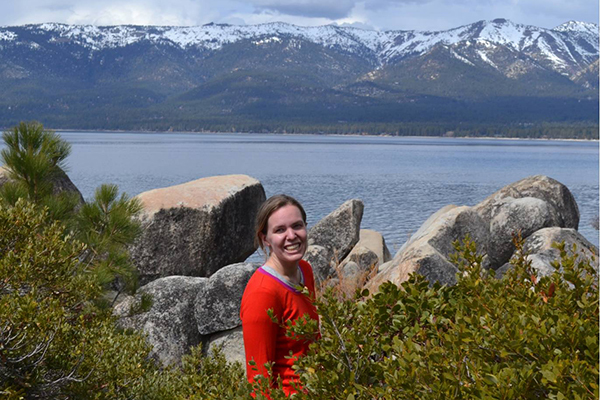 As part of her dissertation, Cheverko conducted field work in Alaska, California and Missouri. How did the graduate program fit into your career goals? As a graduate student in the Department of Anthropology, I was encouraged to publish, teach, apply to grants and continue to create long-term research plans. It helped set me up to apply to postdocs and other academic positions, which falls within my long-term career goal to teach at a four-year university, while continuing research. I study associations between childhood stress experiences and adult mortality risk using skeletal remains. I recorded stress markers and estimated age-at-death for about 400 individuals for my dissertation research using museum collections from prehistoric California, prehistoric Alaska, and an anatomical sample from about 150 years ago to try to identify broad-scale patterns between the three contexts, if they exist. I was awarded the Presidential Fellowship to support dissertation writing for this project. It gave me the freedom this past summer to finish my dissertation. Why should we study anthropology? There are applications for anthropology in everything — from everyday interactions with friends or strangers to working with major corporations. Our ability to understand people and translate differences into similarities is one part of anthropology that I think has the most real-world applications. Figure out what interests you and find opportunities to study those interests. Find faculty and other students who share your interests and try to work with them. For undergraduates, explore a couple of different aspects of anthropology before deciding what you want to focus on, because anthropology includes so many different topics and they're all interesting.